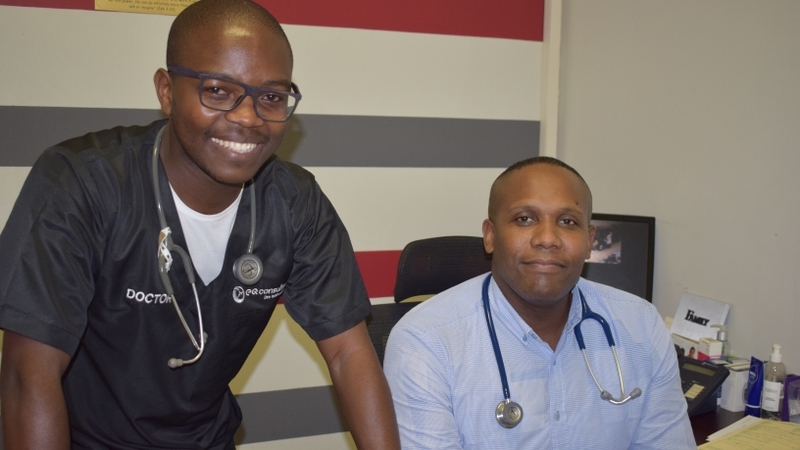 Most young doctors prefer establishing their medical practices in busy city centres or shopping malls; however, this has not been the case with Siphesihle Dlamini (27) and his business partner Langelihle Ngubane (37). The young general practitioners have recently opened their joint medical practice in Umlazi Township, south of Durban. Having completed their MBChB degrees at University of KwaZulu-Natal (UKZN) Nelson R Mandela School of Medicine and both having spent half of their childhood in Umlazi, it has always been their dream to go back to this community and change healthcare provisioning for the better. “Losing my mother while I was still in matric and later losing my father while in my final year of study at varsity motivated me to turn all negative situations around and to be positive,” said Dr Dlamini. Born in KwaMashu and later moving to reside in Umlazi township, Dlamini matriculated at iSibonele High School in KwaMashu and completed his MBChB in 2013. He is currently studying towards a post-graduate diploma in occupational health and safety. Ngubane, who completed his MBChB in 2003, was born in Nquthu in northern KZN. Part of his childhood was spent in the rural towns of eShowe and kwaNongoma, where his father, a pastor, did his church work. 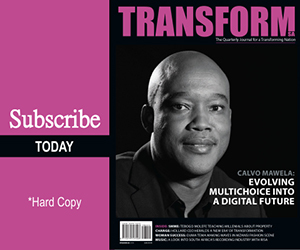 It was during this time when Ngubane noticed how most impoverished communities struggled to access healthcare. He observed how people in rural communities had to travel long distances to nearby towns just to access healthcare services. “Our new practice at Mayibuye Drive, in the heart of Umlazi Township, is a convenient one-stop shop where we offer services of managing acute and chronic conditions, diagnosis, treatment and specialist referral services, pap smear, male circumcisions, medical information and advice, health check-ups, antenatal care, family planning, medical services that are most needed by our communities,” said Dlamini. For Ngubane, opening a practice in Umlazi is a dream come true, since he also spent few years in Umlazi Township. He also practices privately as an occupational health and safety officer for a company based in Durban. In their hectic schedule of marketing their newly opened surgery at Section P in Umlazi, studying, attending to other private businesses, the two also run a busy medical practice in Pinetown.